With Gore TexR waterproof breathable protection and comfortable suede leather and polyester fabric uppers, you'll wish you could hike every day in the Asolo Celeris GV light hikers for men. Lightweight and waterproof, the Asolo Drifter GV hiking boots offer a great all around package for day hikes and overnight trips with light loads. 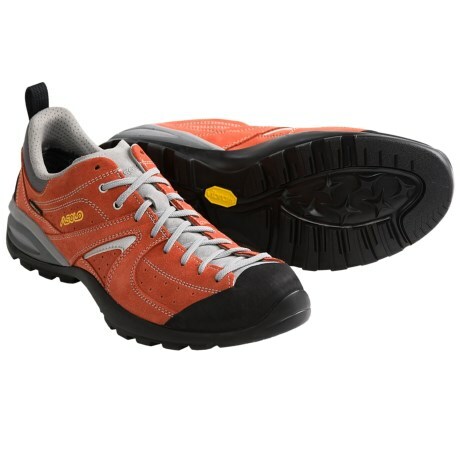 Letting you move quickly over a variety of terrain, Asolo Falcon GV men's waterproof hiking boots offer comfort and light weight for day hikes, light trekking and overnight trips.